RIM have teamed up with Porsche Design Studios to create the BlackBerry P’9981, a mix of hard edges and precise angles unlike any other BlackBerry we’ve seen before. 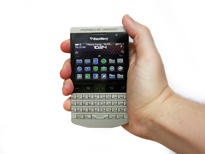 The P’9981 enters the market as the elite BlackBerry, demanding an exclusive price tag for an exclusive device. We spent some exploring how the Porsche Design treatment changes a product like the P’9981. The Dubai launch event late last year should give you an indication of whom the P’9981‘s target audience may be and off the bat, the price tag echoes the sentiment with exclusive retailers such as London’s world famous Harrods store, selling the ‘PorscheBerry’ for a staggering £1275 (or near enough $2000). Once your heart has moved back into your chest however, the next question is; does this device truly justify its cost? The answer being that it’s a matter of perspective. 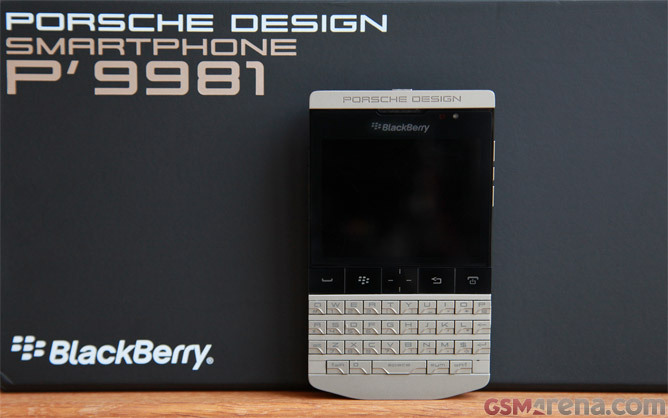 Underneath the surface coating of Porsche Design, the P’9981 actually shares all of its internals with RIM’s current flagship, the Bold Touch 9900. As such the underlying hardware provides a solid framework with which to build on. 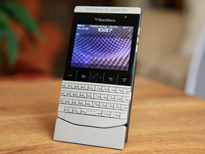 The P’9981 uses a 1.2GHz single-core processor, an Adreno 205 GPU and 768MB of RAM to power the latest iteration of RIM’s BlackBerry OS, version 7.0. There’s also a 5MP camera on the leather-clad back capable of 720p HD video recording. We’ll move away from the hardware rundown as the Porsche Design influence doesn’t penetrate that deep into the device (sadly). Despite its roots in the Bold Touch 9900, put both devices side by side and any relation would be hard to spot. The body is a work of matt aluminum with a polished edge tracing the sides of the phone. All of the buttons around the edge have naturally adopted a more angular feel, but they’re still in exactly the same place as the donor device that defines the P’9981′s layout. Aside from the same 2.8″ display seen on the 9900, the start and end call buttons, menu and back keys and the optical trackpad all fall perfectly flush with the display’s glass. 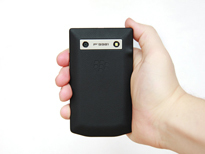 The removable leather back panel surrounds the camera module and comes embossed with the BlackBerry ‘pips’ in its center. It’s worth noting, the back panel also doubles as the NFC antennae. Using the device, the extra weight of that aluminum body is surprisingly unnoticeable. 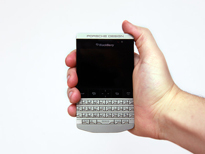 The backlit keyboard, despite having that distinctively aggressive styling, feels just as comfortable to type on as the standard Bold, which is an essential part of any BlackBerry’s requirements. The feel in the hand may not be as comfortable as with the 9900, but this phone isn’t marketing itself on its ergonomic merit. Two seconds looking at the P’9981′s display and you’ll notice the styling differences. 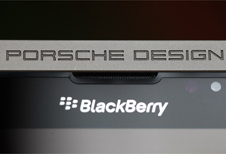 The Porsche Design team have kitted out the UI with custom fonts, icons, wallpapers and ringtones to help make their presence felt whilst navigating the device, once you open an app however, the Porsche influence runs dry. With all of the work that’s gone into making the unique typeface, it is a little disappointing that not even the native apps support these fonts once opened. Simple applications like the clock would have certainly benefited from a dash of Porsche Design. The general user experience of the P’9981 is fluid to say the least with the latest inclusions of BBOS 7 (our unit didn’t yet have a 7.1 update), such as the Wikitude augmented reality browser, however in typical RIM fashion, compare each device with a worthy competitor and the BlackBerry will always appear two steps behind. BBOS 7 might feel fresh to RIM, but the first round of BBX devices need to turn heads come launch time to be considered in the same arena as the leading rival OSs. It’s worth noting that the imposing box in which the P’9981 arrived wasn’t solely for the phone. Alongside a menagerie of wall charger adapters (the small numbers that this device ships in means one box of kit, wherever you are in the world), there’s also a dock which mirrors the P’9981′s aluminum and leather construction and design. It can be used to charge or connect the device via USB to a computer and features a white glowing light when the P’9981 isn’t resting upon it. A nice addition and for the money we expect no less. We said earlier that to decide whether or not the Porsche Design BlackBerry P’9981 was a worthy device, was a matter of perspective. For some, its unique looks and exclusive image give it an appeal all its own, but for others, it’s those very same aspects which alienate them, not to mention you’ll need a healthy bank account to even consider tackling its price tag. For the every-man BlackBerry user, we recommend the Bold Touch 9900, the design is less jarring and the cost more approachable, but for those who place exclusivity first, a touch of Porsche Design might be more your thing. 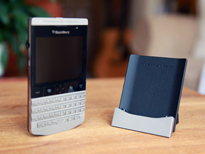 To see what we thought of donor device, the BlackBerry Bold Touch 9900, check out our full review, here.